When you sell silver to GoldBuyers Singapore, we guarantee you the best price and service possible. Our expertise include, not only gold, but also silver and platinum. 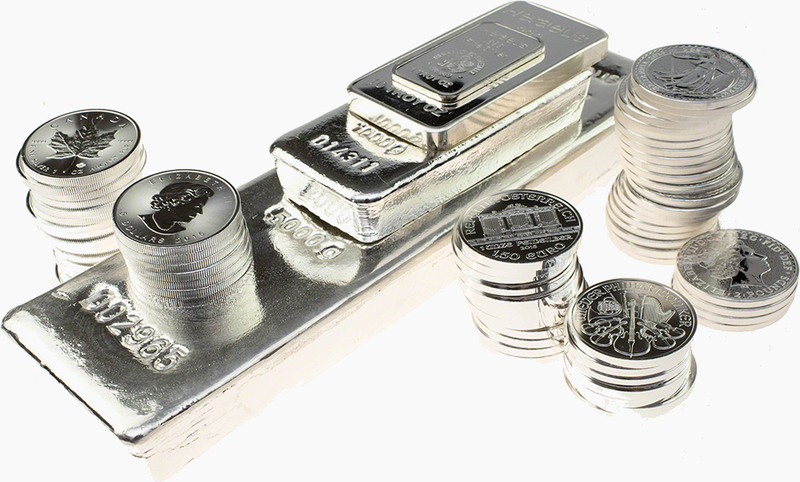 Do you have silver or other precious metals such as platinum that you would like to sell? We buy silver and platinum! GoldBuyers pays a high price for silver and platinum! The silver price is set in a similar fashion to the price of gold. The spot price for pure 99.9 % silver is set on the world market. When we value your silver, the quoted price is determined by the silver price as well as by the weight and purity of the silver item. Visit our shop at 45 New Bridge Road to have your silver valued for free before you decide to sell. No appointments necessary. Silver jewellery such as silver necklaces, silver bracelets and silver rings often contain sterling silver meaning that it contains 92.5 % silver. Silverware can differ in purity but is normally produced in a purity of 80 % or higher. You are always welcome to visit us if you are uncertain of the value of your items or uncertain whether your items contain silver. We do not buy items stamped with Alp, Alpacka, Alpaca, NS, Prima NS, German Plate, Plat, Plate, German Silver or likewise as these items are nickel silver containing an alloy of copper, nickel and zinc and do not carry any real silver in them. Contact us for a price indication for silver.